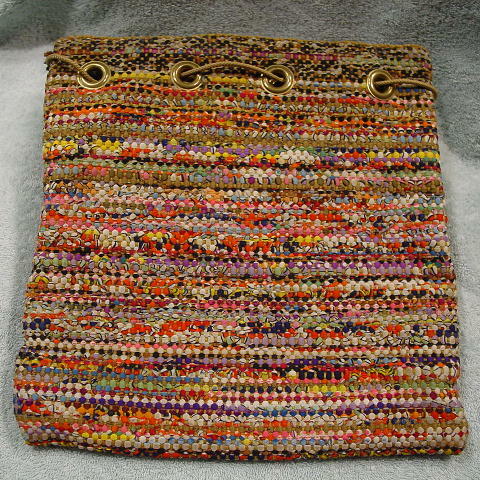 This handcrafted woven sack purse has just too many colors to name. It has a thick texture. 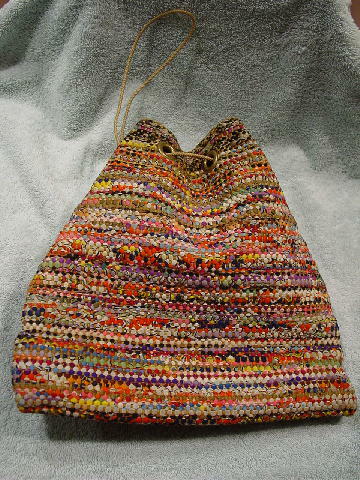 There are eight large grommets with a thin light cocoa color cord running through them. If you want a larger strap so you can sling it across your body or shoulder, just replace the cord with whatever suits your fancy (2 drawstrings or 1 long or 2 long shoulder straps). It belonged to a San Francisco model.